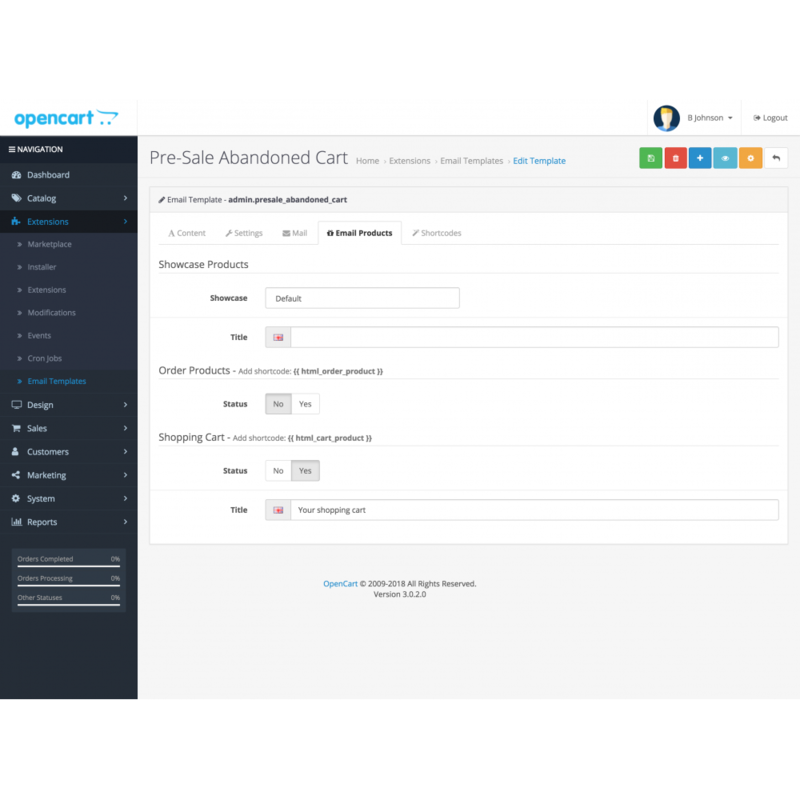 Pre Sale email solution for Opencart - Abandoned cart? 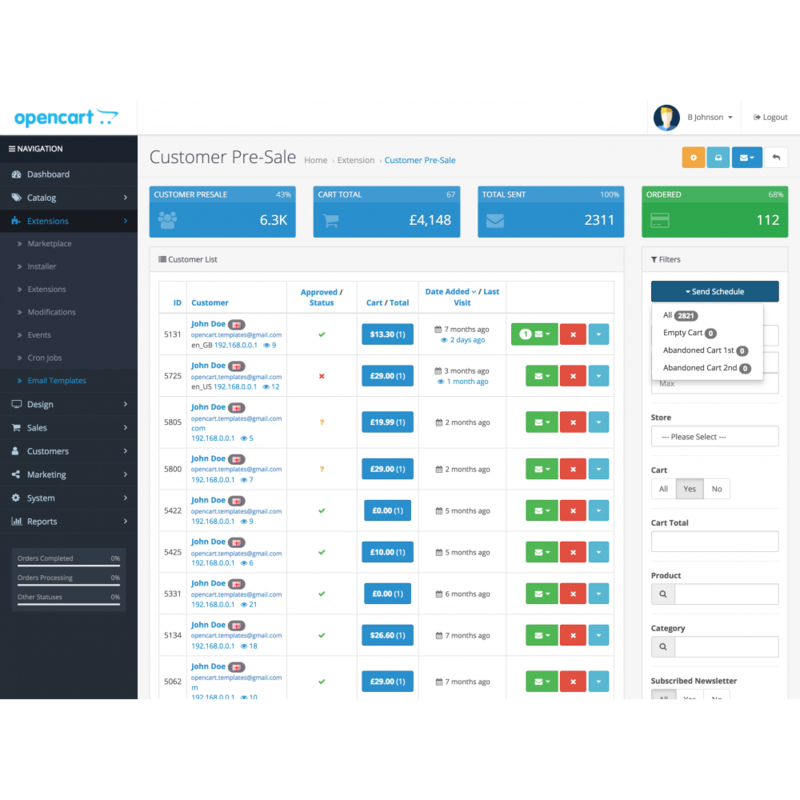 Registered without ordering? 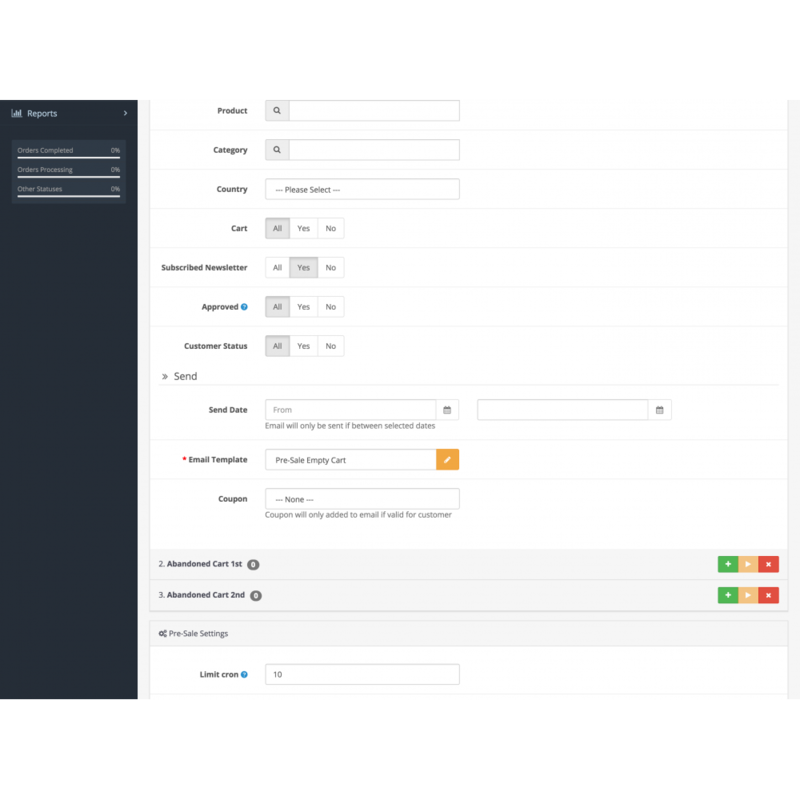 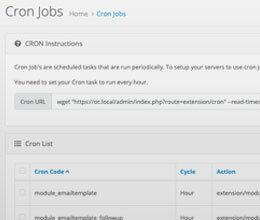 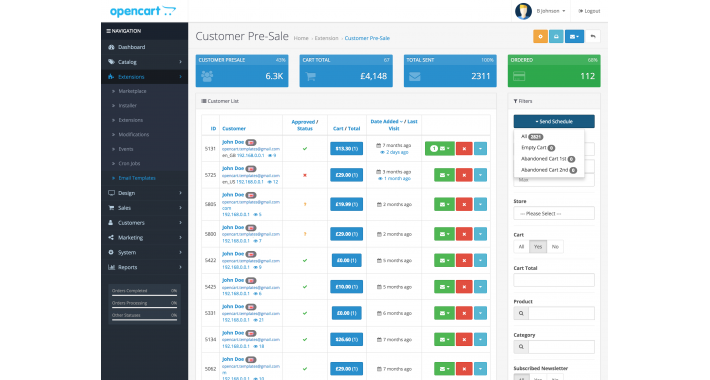 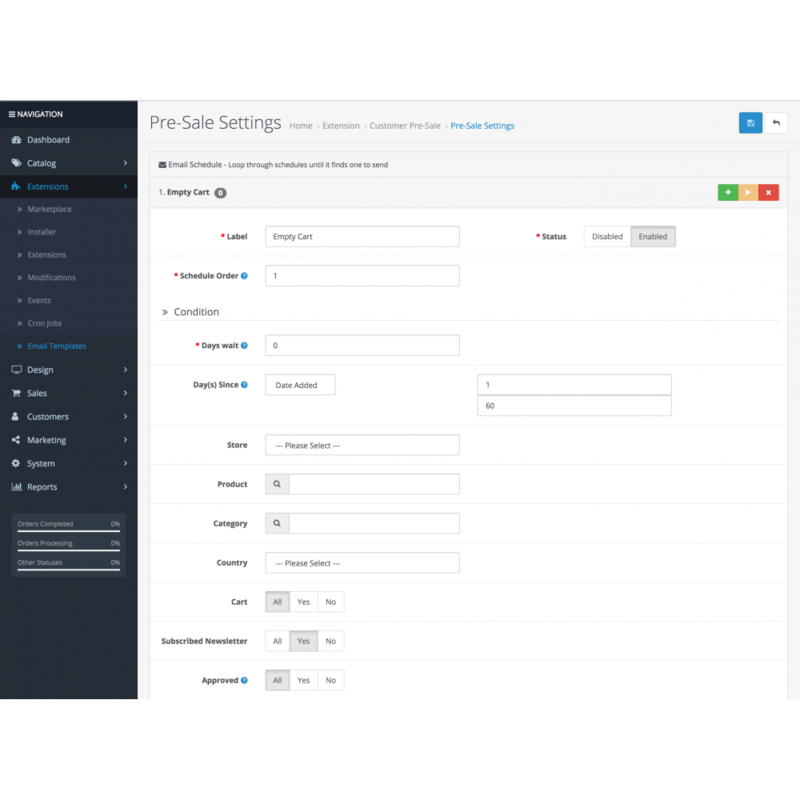 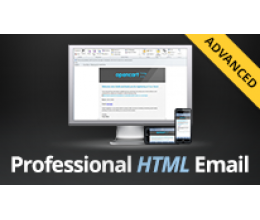 The complete solution to emailing customers before they purchase (we have another extension for order follow ups). Automatically email your opencart customers if they have abandoned their cart? 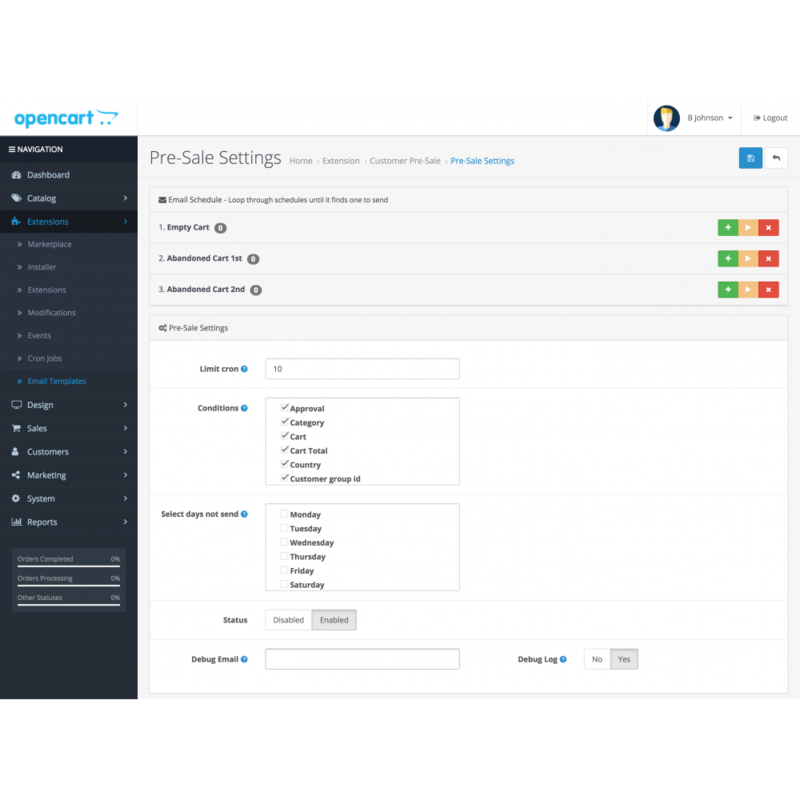 Do you have customers registering on your opencart store without placing an order? 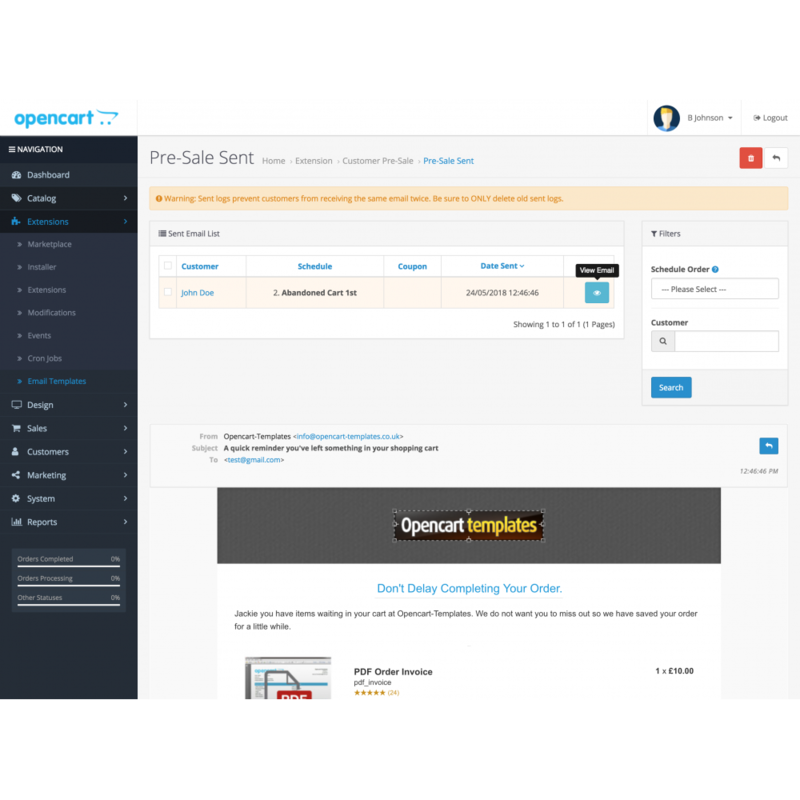 Currently only works with Opencart 3.1, 3.0 and 2.3.